For viewing on mobile devices. CRL has made three significant announcements to complete the City Rail Link project by the end of 2024. These include our preferred bidder for the project’s main works and detail on an early works contract with them, and the project’s revised $4.4 billion cost. 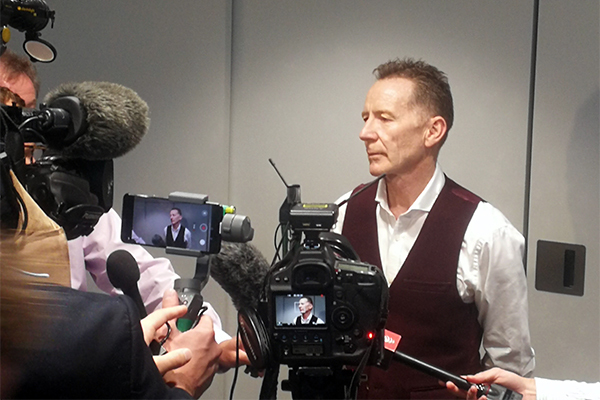 Check out our latest video update of works around Lower Queen St, inside Britomart’s CPO building and along Albert Street! We’re continuing to make progress on our train tunnels under Lower Queen St and Britomart’s Chief Post Office (CPO) building. 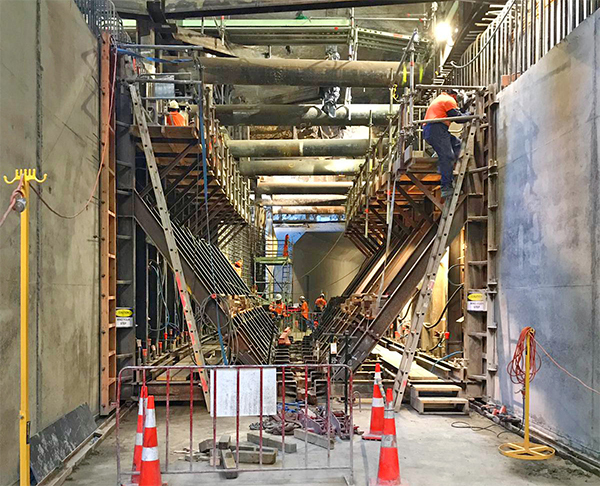 We’re starting to build the walls of the northern tunnel under Britomart and demolishing the existing bluestone wall between platform 1 and the CPO building and the stairs between Britomart’s lift 1 and escalators. 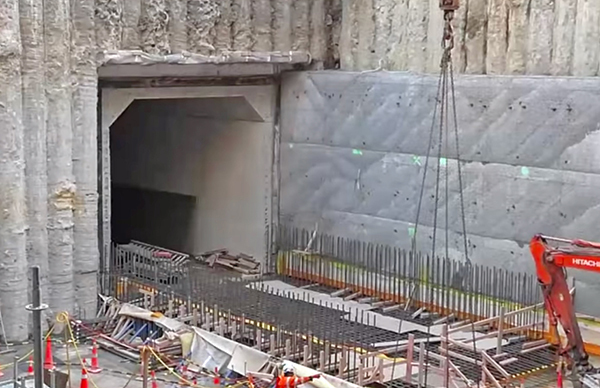 Tunnel box construction along Albert St is now 92% complete and expected to be finished in late June. Our contractor has completed 28 of 29 sections of tunnel box wall and 25 out of 29 sections of roof. As we near completion, construction activity will increase at road level as we reinstate Albert St. These activities will result in more frequent traffic switches. 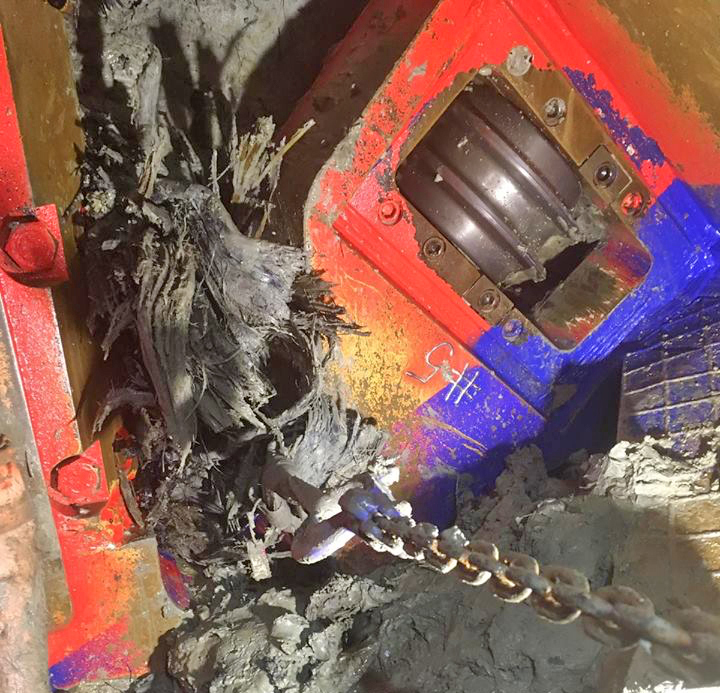 Our hardworking mini tunnel boring machine encountered an ancient tree 18 metres underground. The tree is estimated to be at least 30,000 years old and was likely preserved during a volcanic eruption when engulfed in lava. Members of CRL’s Mana Whenua Forum believe the preserved tree is probably whau (Entelea arborescens). 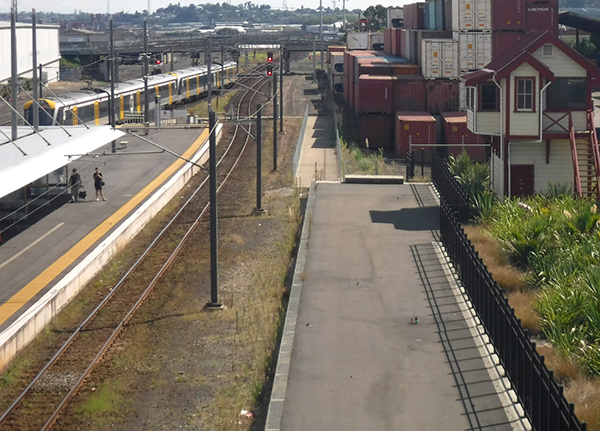 To help prepare Auckland’s rail network for increased train services once the CRL opens in 2024, KiwiRail has started building a new section of rail to a third platform at Ōtāhuhu Station. Over the next year, a new 1.3km section of track will be constructed alongside the main line from Otahuhu Station and Portage Rd. This will include four new cross-over points, overhead lines and signalling equipment. 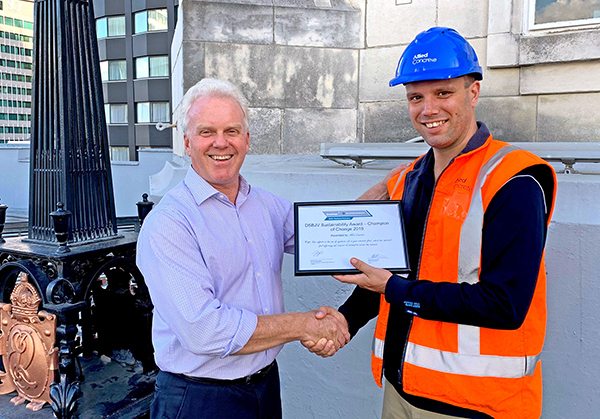 CRL supplier Allied Concrete has won a “Champion of Change” award from contractor Downer Soletanche Bachy for its work to improve fuel efficiency and reduce oil consumption on works at Britomart and Lower Queen St. Allied’s efforts have resulted in fuel savings of up to 4.5% and reduced annual oil consumption by 78%. CRL recently hosted tours with some of our oldest and youngest rail enthusiasts. 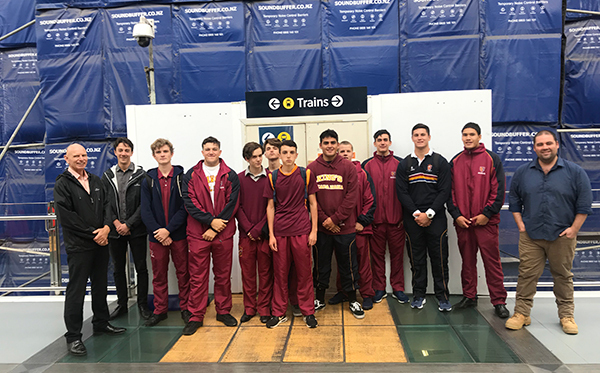 These include technology students from Kings College and staff and volunteers from MOTAT, who visited CRL’s Britomart and Albert Street construction sites.